Setting a film in the past must be a challenging feat for any director – doubly difficult when you have no cinematic references other than paintings, pieced together interviews and photography from around the eras you’re trying to convey – as was the case with Val Jasharis new film – Nanë (which means mother in Albanian). But for the LA-based director not telling the story was not an option. 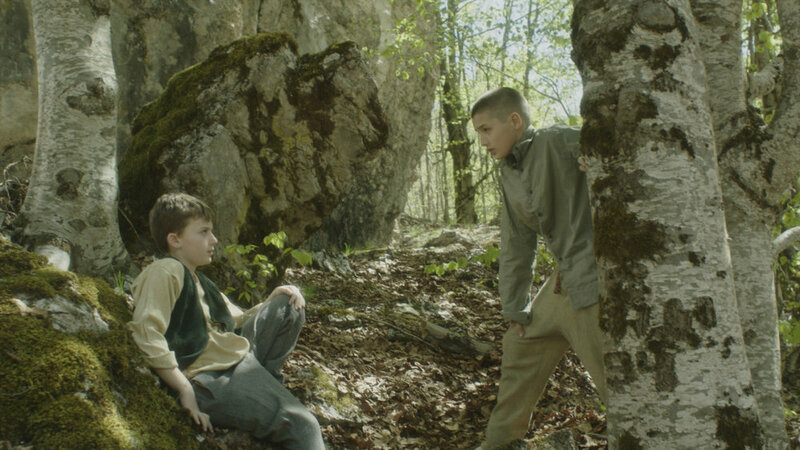 Set in the 1950s in Albania, Nanë follows a young boy called Leka as he tries to save his dying mother. The touching tale is, as Val explains, “ultimately about the harsh realities of life that we as individuals have to come to terms with at some point." Exploring themes such as “childhood innocence, love for and that of a parent, disillusionment, hardship, culture, and all underlying emotions directly related to each,” Nanë has been an emotional and all-consuming experience for Val. Here I caught up with Val to reflect on her two year journey with Nanë before it hits its post-production stage. Why did you decide to make Nanë – what were the inspirations behind it? 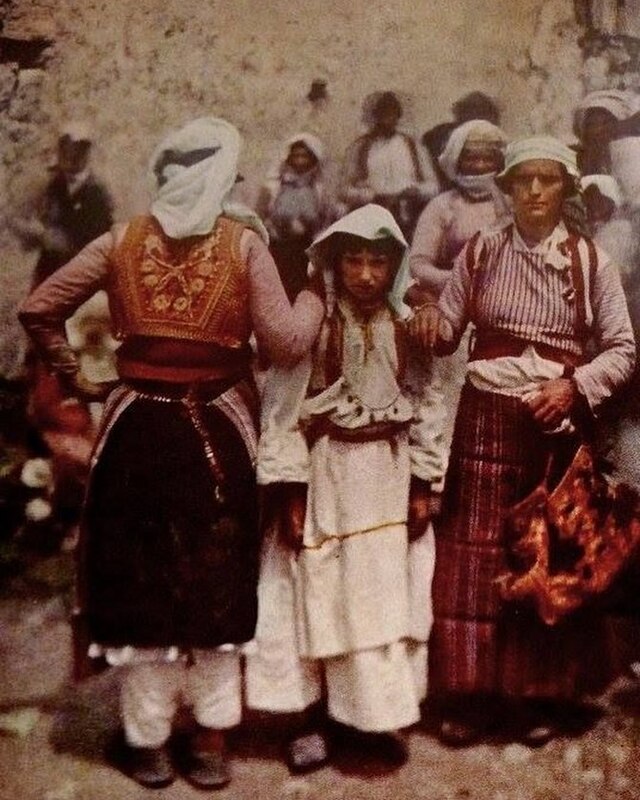 Nanë is based on my maternal grandfather’s life. My grandfather has always been an extremely important figure in our family. I find him incredibly captivating, wise, mysterious, all wrapped up in melancholia for what was and what could’ve been. I never knew specifics about his childhood as it never really came up in conversation on my visits to my grandparents’ house so when I came across an unfinished autobiography my sister had begun typing for him I was astounded. It was a mere page and a half... but wow...the power they had over me. I was overwhelmed, lost for days, heartbroken, so deeply moved by those words that they stuck with me forever. I SAW what he was saying; I felt the colours and smelled the air. I was with him living the events. It truly changed me. I feel that it had such a great impact on me because of the fact that I was a young mother myself, and therefore I could empathize with the circumstances. I spent many sleepless nights envisioning it on screen and NOT making this film was not an option. My dream was actualised when I graduated from UCLA’s School of Theater, Film and Television in 2016 and started shooting this story in 2018. What were your cinematic influences? I usually go about a feeling a story gives me and then use that feeling to guide me in trying to emulate the same for the audience. For this film, my cinematic influences were based on photography rather than actual film. 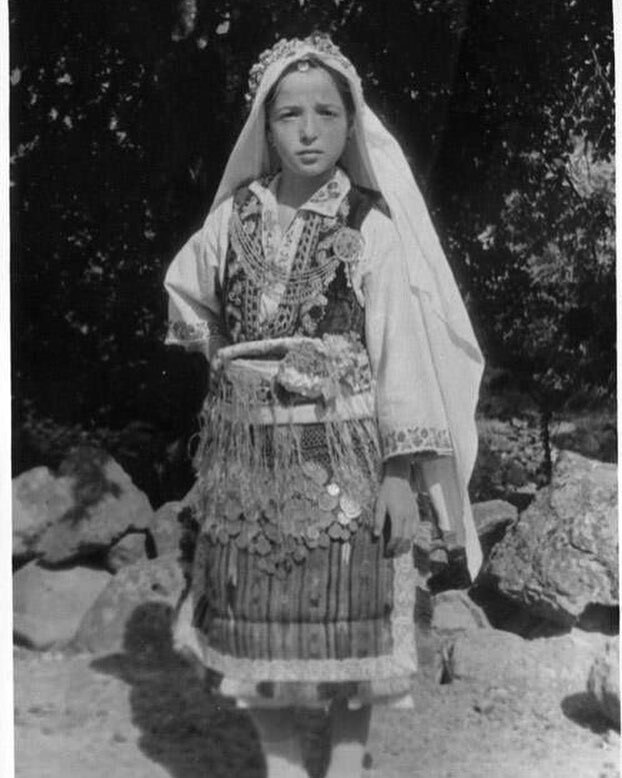 Even photographs of early Albanian culture are rare so it was quite a journey gathering enough materials. A lot of filming was in remotely captivating locations that have limited accessibility such as breathtaking national park of Valbona in Albania and the super cool village of Kukaj in Kosovë, which is also the home of EtnoFest. 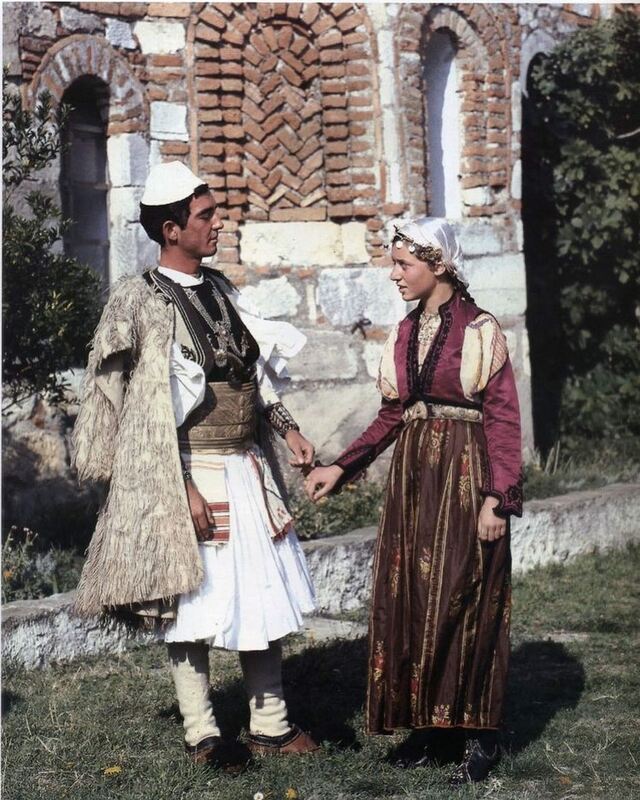 However, we primarily filmed in Dardhë, a small village in the city of Korça, Albania. From the information on the Nanës’ Instagram page, I can see it is set in the 1950s – what were your references to create scenes similar to the time? Unfortunately, there aren’t many Albanian film references at that time. So I used photographs of the 1930s, 1940s, 1950s, combining information from interviews I had with elders such as my grandparents that were around during these timeframes. I then pieced together what the character’s world might have looked like and felt like, creating a fairy-tale feel. Looking at the many aspects of the project, I can say that we were able to pull off that heightened version of reality. ﻿Were there any challenges that you faced in doing this? Let’s say that this film presented every challenge possible, and the recreation of a time period piece was the forerunner. Right off the bat, the challenges with doing a period piece involve locations, costume, production design, basically every aspect of the film. In order to achieve a level of authenticity, a higher budget is automatically required. So in short, YES many challenges. Why did you decide to make it in Albanian? Since it’s based on my grandfather's’ life I wanted to stay true to that, but I did consider filming it elsewhere and even filming it in English. 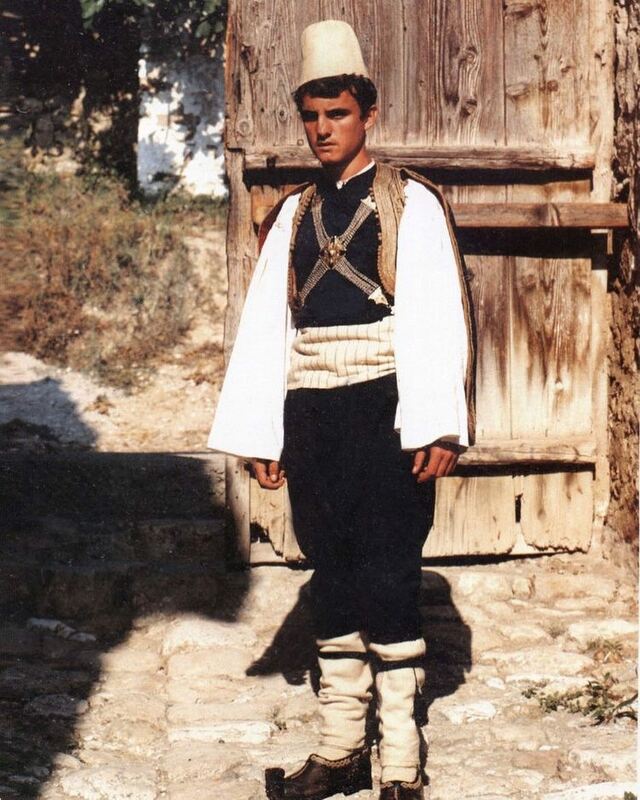 The film speaks of such universal themes so the story would have worked anywhere, but because Albanian culture is so underrepresented and even misrepresented in a lot of cases I ultimately felt that it would be an honour to expose foreign audiences to this beautiful part of the world, history, and language. How has the film been funded and was it difficult securing funding? Funding is always one of the most difficult parts of the film and it was no different for this project. The film was chosen as one of the five projects supported by the Cinematography Center of Kosova in 2017, for which I am very thankful and honoured. The funding from CCK definitely helped but the biggest chunk came from a private investor and my own savings (a.k.a credit cards). We have yet to secure funding for post-production/marketing/festivals etc – which I plan to go through one of the crowdfunding platforms sometime late spring 2019. Has there been anything that you've learnt from making Nanë, and if so what were the main things that you learnt? I can’t begin to list all the things I have learned from making this film. I learned some hard lessons about life and definitely tons of lessons about filmmaking. My dear father passed away three days before the shoot, while I was literally finalizing locations nine hours away in Korça. It was my first experience with such a big loss and it shook my whole being to the core. I still don’t know how I drove all those hours from the wake straight to set. Having experienced such a profound loss and then coming to set to shoot a film about the exact same thing was surreal. The film became so much bigger than what it was. All of a sudden I became a member of that club. The “profound loss club”, the kind the protagonist of the film becomes a part of. I learned that life doesn’t wait for you. Life does not wait until you have picked the right locations, cast the perfect actors, designed the most beautiful costumes. At a blink of an eye, life happens – and you have to adapt to the new environment, read just your angle and take a deep breath when you call out “action”. This film pushed me to limits I had not yet tested. I had to make tough decisions on the spot because we simply did not have time. So I went from picking a location the same day we were shooting that specific scene, and then quickly adapting to that environment while directing the actors. I had to think on my toes and cut lines and even scenes at times. We pretty much worked without a shot list because of the circumstances, so that was another way of learning to think fast and re-adjust. Working with a mostly European crew also has its learning curves, and it was a challenge for me in terms of adjusting to their style of production. Luckily, I worked with some amazing people that I got to bond and become really good friends with. This film has truly made me stronger as a director and as a person. It has been a blessing and I’m honestly very grateful for the experience. 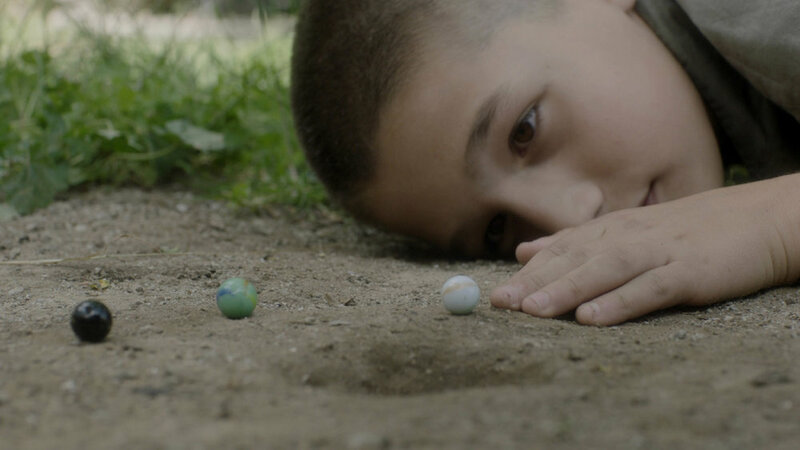 What do you hope the viewers take away from watching Nanë? When I think of this film I immediately think of childhood innocence, of the pure kind of love between mother and child. I feel that the world has become so ugly in so many ways especially with the increase invasion of technology and social media that it’s even become difficult for humans to truly connect. I want to take them back to a simpler time in a different world. I want them to have this great adventure with ups and downs, but one that will leave them thinking about what they are thankful for.